Photos: On acidic upland rock. Ballingeary, Cork, SW Ireland. 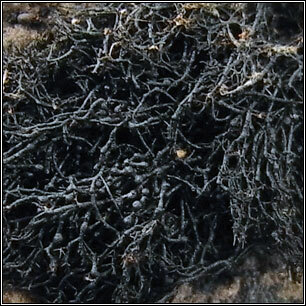 Soft dark-green or black thallus, slightly branched and with much-divided filaments tapering to points. Mat-forming growth. 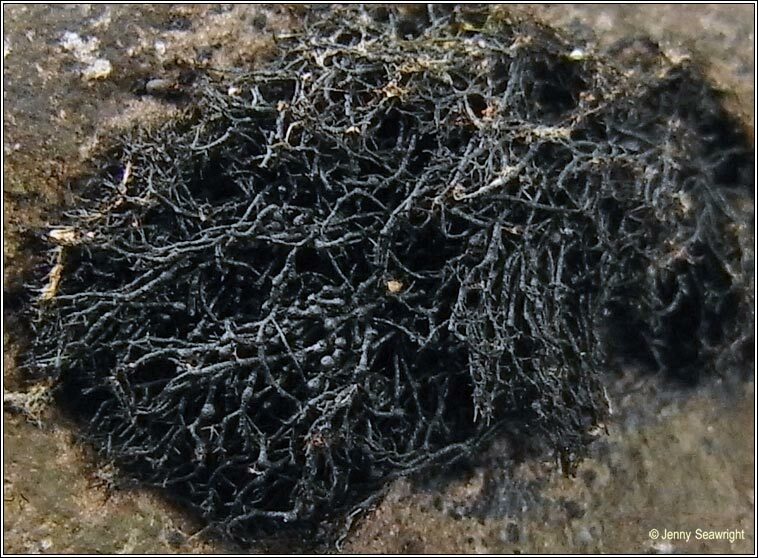 Groups of small, globose apothecia, rarely formed in Britain and Ireland. 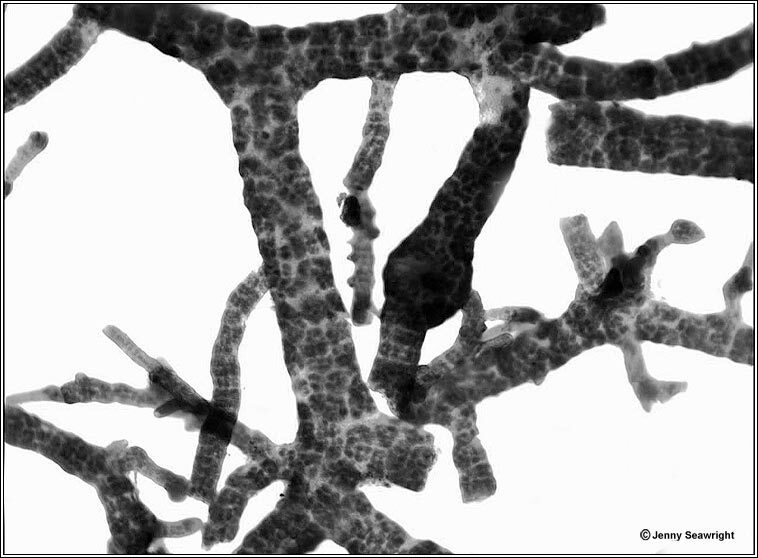 Ascus is 8-spored, spores simple to 1-septate, 11-18 x 3.5-6 µm. 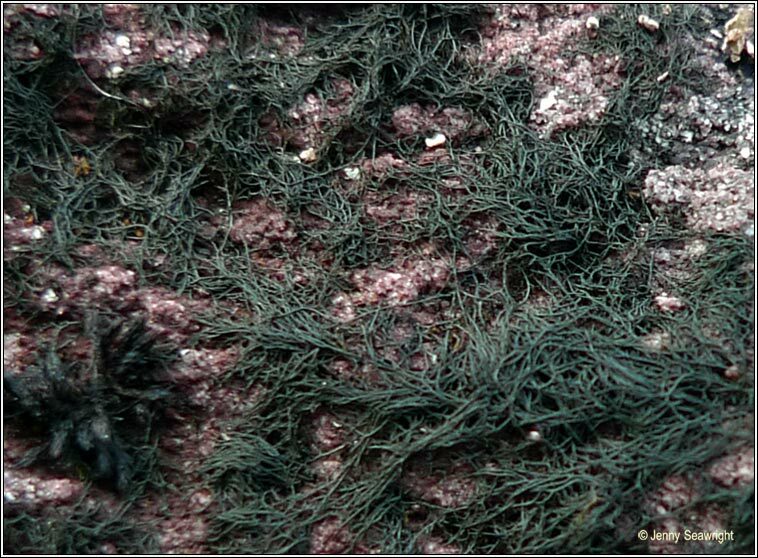 Microscope photograph of thallus below. 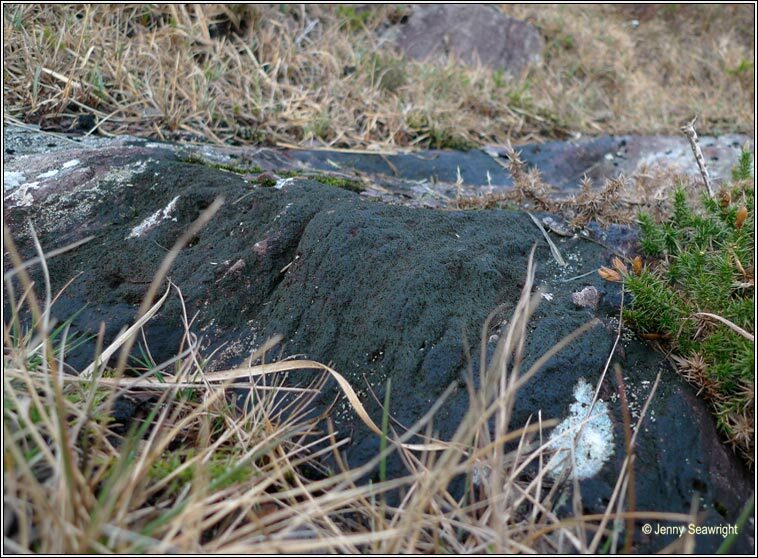 On damp or aquatic rocks in acidic upland areas and in seepage tracks on siliceous rocks and boulders. Chemical reactions negative.